True Lies Sequel Actually an Upcoming ABC TV Series | Critical End! Big deal, it's been adapted before. There have been rumors to this affect for a while now, but it appears that it’s now somewhat confirmed. 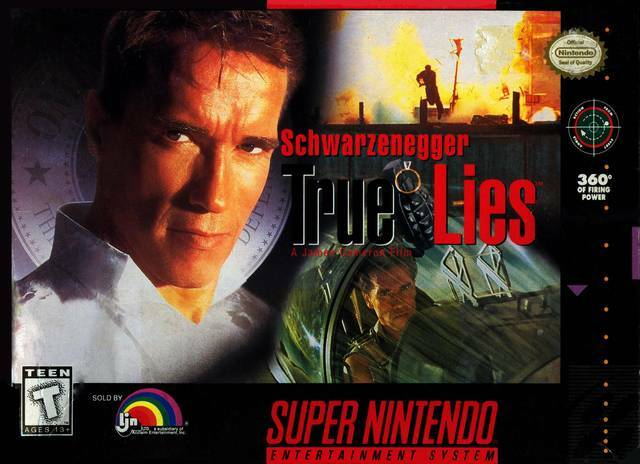 The James Cameron/Schwarzenegger classic True Lies will be morphed into a prime time TV series for ABC. Honestly, I’m excited to see what they come up with. The spy-with-a-family-life premise still has some juice (though, J.J. Abrams’ Undercovers is treading very similar ground), and Cameron is no stranger to producing TV shows, though they haven’t traditionally lasted very long. Let’s just hope we don’t all have to buy 3D televisions to watch this. The big question mark is who will take over Arnold’s role. My pick? Arnold. But that’s mostly because I’m anxious to see him get back to acting. He could at least cameo as a rival spy or something, right? Ease back into things a bit. Actually, rebooting old Arnold movies as TV shows could be a great new trend! Imagine Last Action Hero as a Saturday morning cartoon. Each episode, Arnold and the kid go on a new crazy adventure in a different movie. It’ll be like the animated version of Bill & Ted’s Excellent Adventures but without all the annoying, government-mandated learning! This entry was posted on Wednesday, September 22nd, 2010 at 12:13 pmand is filed under . You can follow any responses to this entry through the RSS 2.0 feed. Both comments and pings are currently closed.